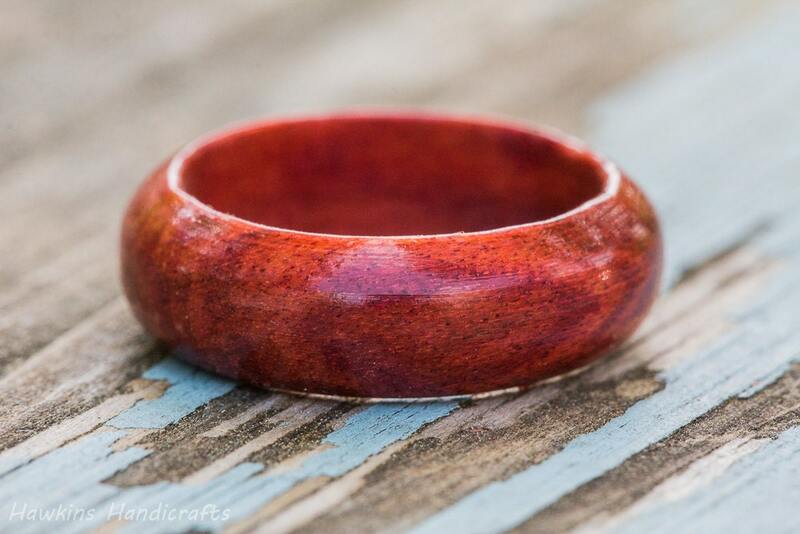 This is a hand-turned redheart wood ring custom made to your specifications - choose the size, width, and shape from the options to create your own handmade ring! 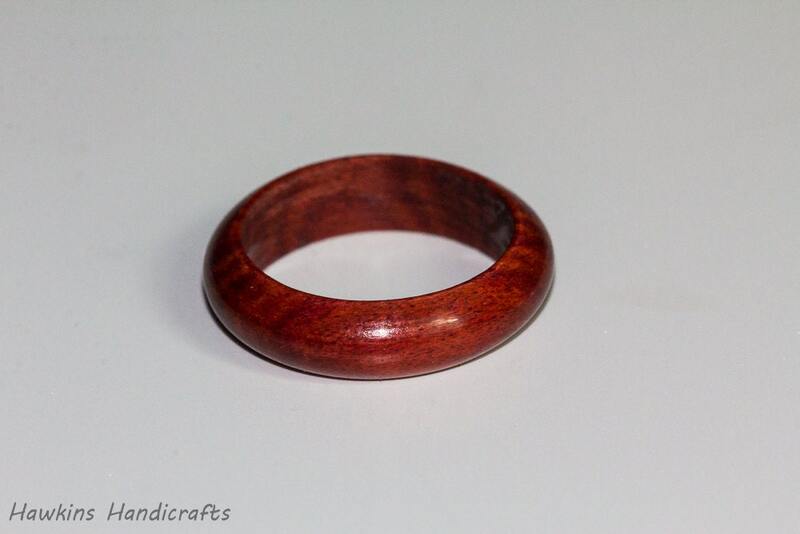 Your ring will have a similar look to those in the pictures, intense red that changes slightly with lighting -but each ring is a unique piece of wood with it's own unique patterning with no two exactly alike! 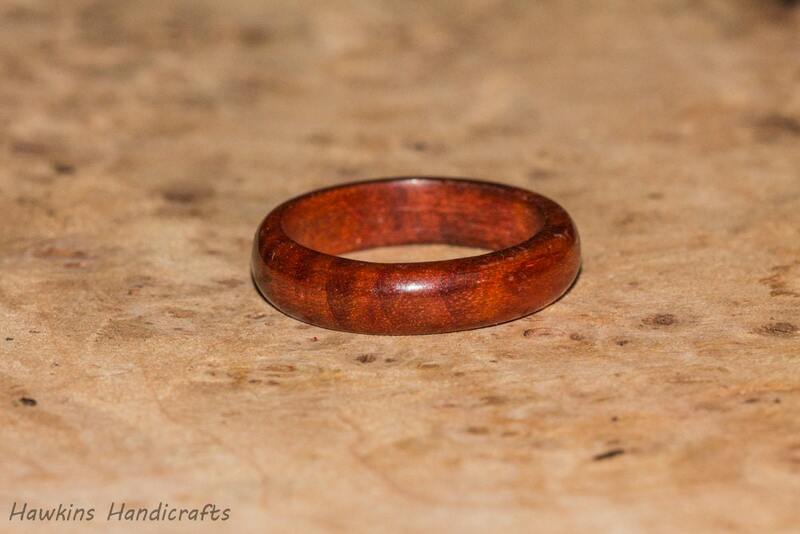 Redheart wood is sustainably sourced and is not listed on the CITES Appendices or IUCN Red List. 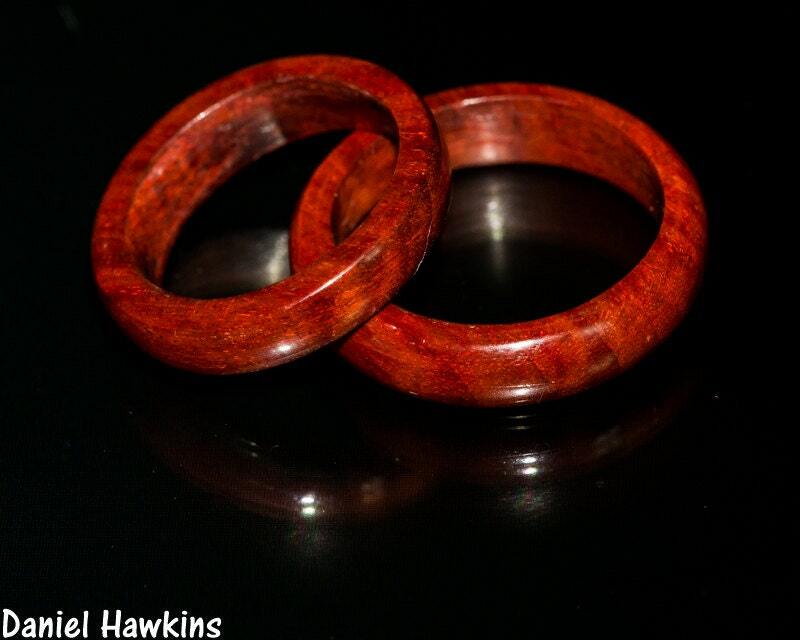 Redheart is a beautiful wood - brilliant red with a prominent grain pattern and figure of lighter and darker bands, as seen in the photos. The red changes color somewhat with the lighting - bright red in some light, more subtle with a hint of brown in others, but it is always a standout. 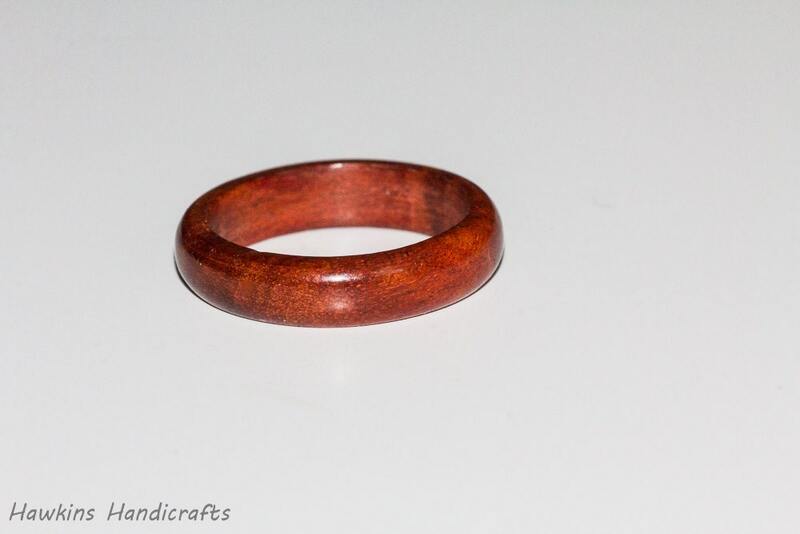 The red coloring can be rather variable, and I only choose the nicest pieces of nearly brick red colored wood to use, so this ring may occasionally be unavailable if the supply is inferior. The first one was the wrong size, but HawkinsHandicrafts kindly walked me through getting the sizing right and sent me back the correct one quickly. I love it!